Spend a lot of time around a documentary film set and one microphone you’re quite likely to see is the Sennheiser EW 112P G3. 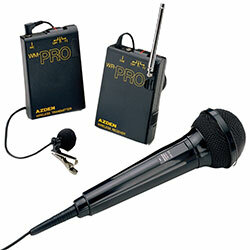 This microphone is ubiquitous because of its relatively low cost, ease of use, long range, and solid sound quality. 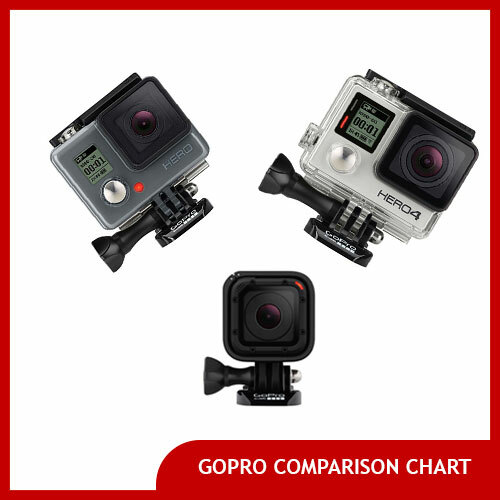 The G3 can be tuned to various frequencies to avoid nearby interference, and is compatible with a wide variety of accessories . The G3 receiver unit which sits atop your camera’s hotshoe includes both an XLR out cable and a 1/8th inch audio out for DSLRs. The Azden WMS-Pro wireless lav system is a budget solution with a 1/8th inch audio out jack on its receiver unit for DSLRs. You can save money with this lav mic because it doesn’t have XLR inputs, but if your camera doesn’t either then why pay for them? At an entry level price range, this might be an ideal lav for those with a DSLR looking to get wireless sound. It also comes with a handheld reporter style microphone which plugs into the transmitter, as well as some mounting accessories. 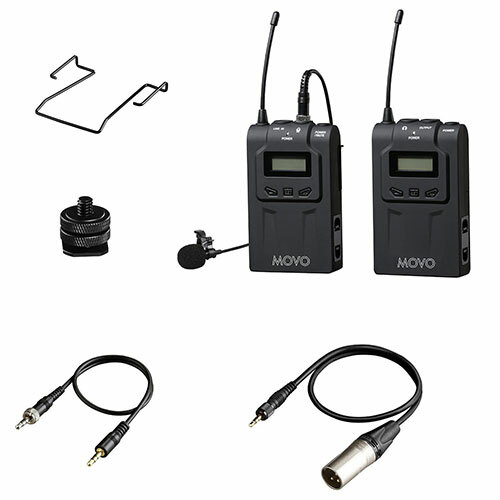 The Movo Wireless lav mic system is a newer entrant to the budget wireless lavaliere microphone arena. 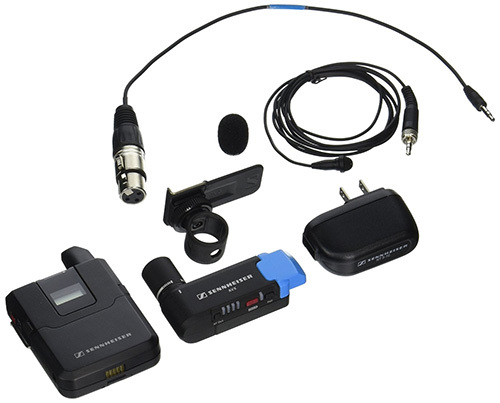 It includes a wireless transmitter and a receiver, an omni directional clip on microphone, and both an XLR out cable and a 1/8th inch out cable, meaning that you can use it with both documentary film DSLRs that have 1/8th inch microphone in jacks (like almost all do that shoot video) and traditional pro documentary film video cameras without the use of an XLR audio adapter. Combine that with a compelling price point and a 328 foot wireless tether range, and the Movo Wireless Lav system is pretty competitive. In the technology business in the early 1980s there was a saying: “Nobody ever got fired for buying an IBM.” It meant that IBM (at the time) was universally recognized for its quality and performance. In the film industry we’d say a similar saying: Nobody ever got fired for buying a Sony. 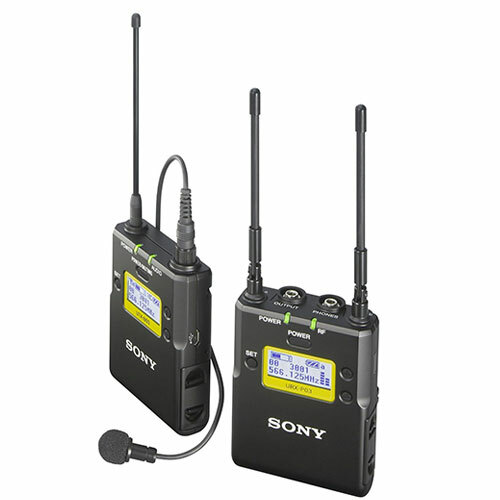 The Sony UWPD11 wireless lavalier microphone, is no exception. 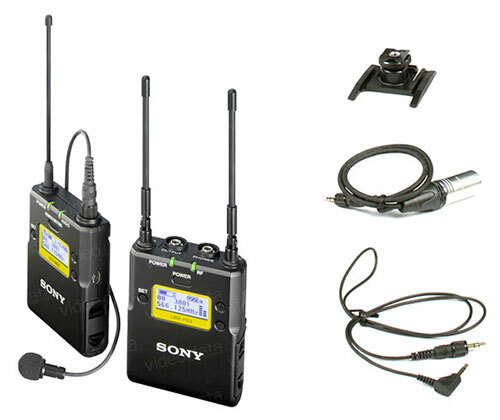 It’s an exceptional quality wireless lav mic that comes with both XLR output and a minijack for 1/8th inch microphone in ports found on devices like DSLRs and small camcorders. The receiver unit that sits on top of your camera’s shoe mount has dual antennas allowing it to achieve superior range and clear reception even at far distances. Both the transmitter and the receiver run on standard AA batteries. How far is the typical range for a wireless lavalier microphone? It varies from mic to mic and it also varies based on where you’re shooting. For instance, if you’re trying to record sound from another room, you might run into range problems if the wall is thick. You might also run into interference if your transmitter is too far away from your receiver. In general, wireless lavalier microphones have a range of one two a few hundred feet. 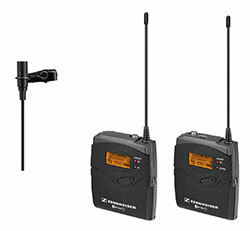 Some higher end wireless lav mics have dual antennas on either the transmitter body pack, the receiver, or both, and farther range as a result. How will I know if I have low battery on a lav mic? Many lav mics have low battery indicators but you may also start to hear drop-outs or which can indicate that the lav’s transmitter body pack is low. Will this lavalier microphone work with my DSLR? Most wireless lavs being sold today ship with both an XLR out cable (to connect to a full sized pro camera with XLR audio inputs) as well as a 1/8th inch minijack to plug into DSLRs. For a list of lavalieres that come with this cable option, check out our article Best Wireless Lav Mics for DSLR cameras. Will this wireless lav microphone work with my DSLR or camcorder? All the lavalier mics featured in this article include outputs for both XLR ports (the big round three pin audio ports that pro level full sized video cameras have) and also 1/8th inch minijack outputs. DSLRs and camcorders usually use these 3.5mm headphone-style audio inputs so these lavalier microphones should work well with your camcorder or DSLR. You may want to experiment with the auto-gain settings and audio levels settings on your camera as well as your lav mic to see what provides the best results before you do a serious shoot with them. What’s the difference between wired and wireless lapel mics? Lavaliers/lav mics/lapel mics come in two varieties: the wired microphones and wireless clip on microphones. Generally speaking the wireless models are more expensive but give you much more flexibility since you’re not tethered to the camera. These days we recommend you choose wireless lavalier microphones rather than wired ones since they’re cheaper than ever before and better quality/range too. 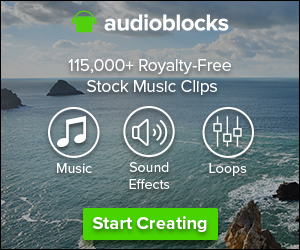 What is the best wireless lavalier microphone? The Sennheiser G3 is still the workhorse of the indie video/filmmaking industry and any discussion of the best interview lavalier must start there (Sennheiser has also more recently come out with their updated AVX lav system with more features). If you’re on a budget, one of the best cheap lavalier microphones for DSLR/camcorder users is the Movo WMIC70 wireless lapel microphone. It also has professional XLR outputs if you have a larger pro video camera. How do I properly place a clip on microphone? Always thread the microphone cable from the mic to the transmitter underneath the interviewee’s clothing so it isn’t showing. For men wearing suits, this placing the lav mic on the jacket, tie or button down shirt is easy, and the excess cable can be hidden under their clothing. For women wearing blouses, ask them to drop the cable down their shirts and attach the microphone to their collar. You can often do the same thing for interviewees wearing t-shirts. For more information, see our companion article, How to mic a documentary style sit down interview. In the context of filmmaking/video, lav is short for lavalier microphone. A lav mic is a type of microphone that is quite small and can be clipped to a person’s shirt. Lav mics are very useful to get good sound when a person speaking is far away from a camera so the camera’s onboard microphone won’t pick them up very well. Lav mics are used by both indie filmmakers and high budget Hollywood filmmakers to pick up good sound. 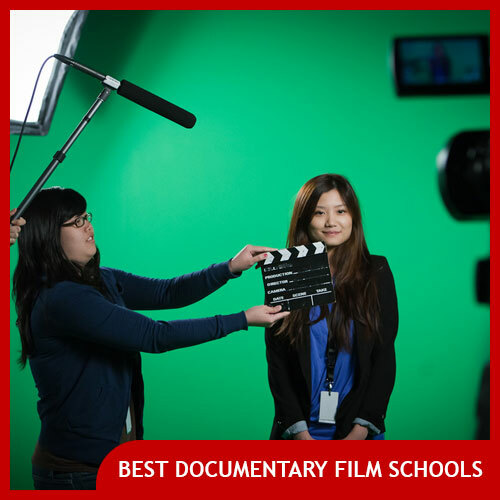 They’re used in both documentary film and fictional film, as well as on television, by journalists, and many others in a variety of professions. Another word for lavalier microphone is lapel microphone, lav mic, clip on microphone, body microphone, or clip mic. 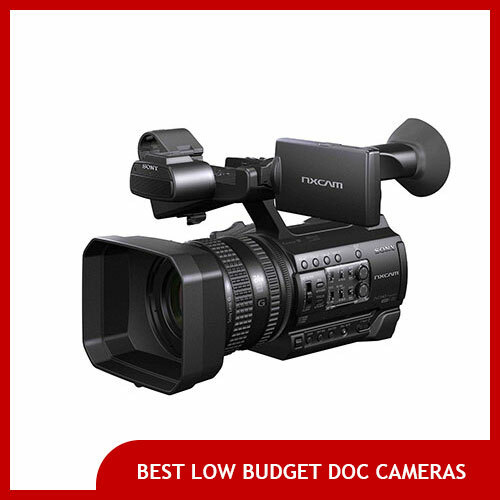 Previous Post: What Are The Best Video Cameras for Documentary Film?